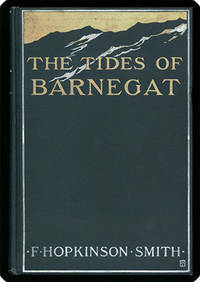 Home > Philadelphia Rare Books & Manuscripts Co., LLC (PRB&M) > The tides of Barnegat. New York: Charles Scribner's Sons, 1906. 8vo. vi, , 422 pp. ; 12 plts. First edition, with twelve engraved plates by George Wright and a signed binding stamped "FBS" on the front cover (this is the A state binding, per BAL)  being the monogram of Frank Berkeley Smith, the author's son. Provenance: Book label of C.C. Gowran ("Handle me gently . . ."). BAL 18242. Publisher's cloth, front cover and spine stamped in white and gilt; stamping and extremities showing just a touch of rubbing, otherwise clean and fresh. 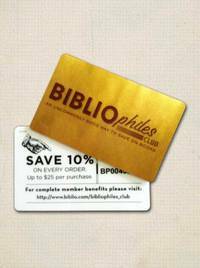 Front pastedown with booklabel as above. => A very pleasing copy. Title: The tides of Barnegat. Size: 8vo. vi, , 422 pp. ; 12 plts.